After more than a year and a half of research, scientists say a new study proves there could be as many as 100 million black holes peppering the Milky Way. Published on August 2 in the Monthly Notices of the Royal Astronomical Society, the study was initially sparked after news that the Laser Interferometer Gravitational-Wave Observatory (LIGO) detected ripples in the space-time continuum. 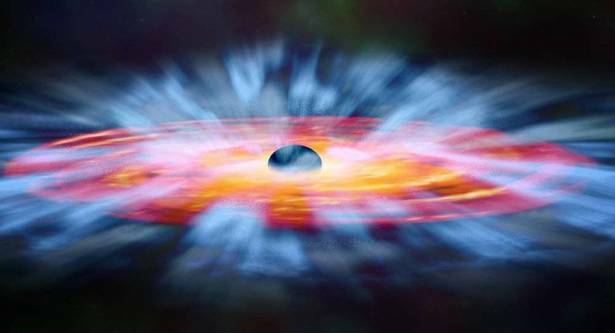 In that instance, the waves were set off by two colliding black holes, each estimated to be the size of 30 suns. "Fundamentally, the detection of gravitational waves was a huge deal, as it was a confirmation of a key prediction of Einstein’s general theory of relativity," James Bullock, researcher from the University of California, Irvine, told the journal. "But then we look closer at the astrophysics of the actual result, a merger of two 30-solar-mass black holes. That was simply astounding and had us asking, 'how common are black holes of this size, and how often do they merge?'" First launched as an investigation into the "weirdness of the LIGO discovery," Manoj Kaplinghat, co-author of the study, indicated that the number of black holes typically varies depending on the size of the galaxy and the metallicity of stars. Based on their knowledge of star formation, population and distribution, the group was able to answer the first half of their question. "We have a pretty good understanding of the overall population of stars in the universe and their mass distribution as they’re born, so we can tell how many black holes should have formed with 100 solar masses versus 10 solar masses," Bullock indicated. Wanting to shed light on the occurrence of gravitational waves, the researchers then looked into how often merges took place between black holes. As it turns out, their results showed "only 0.1 to 1 percent of the black holes formed" need to collide with one another in order to replicate LIGO’s findings. According to Kaplinghat the next set of waves could happen soon: "If the current ideas about stellar evolution are right, then our calculations indicate that mergers of even 50-solar-mass black holes will be detected in a few years," he said. So if you’re in the business of zapping into space, "Star Trek"-style, be careful.